Online Hunting and Clay Shooting Supplies Store Worldwide Delivery. 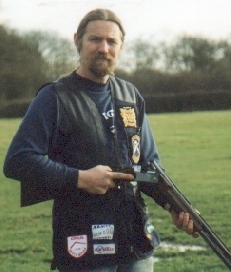 The Red Kite brand and all associated products have moved to www.redkitegunproducts.co.uk - Mr Guy Stockdale t/a. If you don't see what you want here in my site that now only services guns, chokes, spares, gunsafes, residue stock items, and some other specialist services. Please check Guy's site or email him through his E-commerce site as he has all the Red Kite Consumables and general stock and is processing sales normally. VAT: We are not VAT registered, no tax is charged within or added to our prices. EXPORT: We export all over the world but regular postal losses and delays to overseas destinations means we are now selective as to countries we will send to, and the type of service used, and the goods sent to any particular destination. Guns, aerosols, pressure containers, chemicals etc cannot be exported. For overseas orders, please contact us by direct email or telephone for rates and service availability. If we post overseas, please add International Signed For fee in Postage and Extras to your order before checking out, and use UK rec del 1st class post rate. If it is not enough for the items, we will contact you. REFERENCES: Our customer base includes Metropolitan Police Firearms Dept; we are approved Crown Servants to provide shotguns to the UK Armed Forces, and export to BFO at operational bases world wide. We supply Gov't research agencies, PLC companies, and National Museums. WARRANTY: All goods may be returned within 14 days, unused with original packing, for a full refund if unsuitable. Manufacturers warranty applies to all items sold. Goods descriptions, photos, pricing and carriage rates are E@OE.